Can you remember the last time you played truth or dare?… Are you typically the one to pick truth or dare? Myself, I’m a truth teller and I inherited a gene that allows me to tattle on myself (LOL). So naturally being a non dare devil, I always would pick truth during this fun game. I’m always up for daring others to try new recipes that I love, like The Best Banana Chocolate Chip Muffins. I find the muffins to be irresistible fresh out of the oven, as do my little ones who tend to inhale them very quickly while still piping hot! While indulging in these scrumptious muffins you will find me sitting next to the kids blowing on the steaming hot chocolate so that my toddler does not burn her mouth. If you want to bond with your children (or loved one) why not do so with a warm muffin that’s fresh out of the stove. 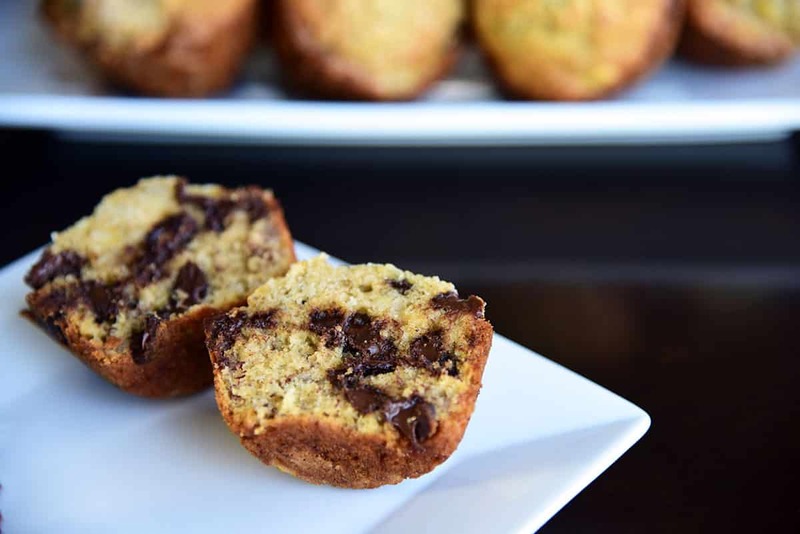 These banana chocolate chip muffins served warm are OOOHHHH SOOO Delicious!